Order this Adept Shaving Combo for Men and make your dear one happy. This impeccable Gift Hamper has all the products a man requires for the perfect shaving experience. 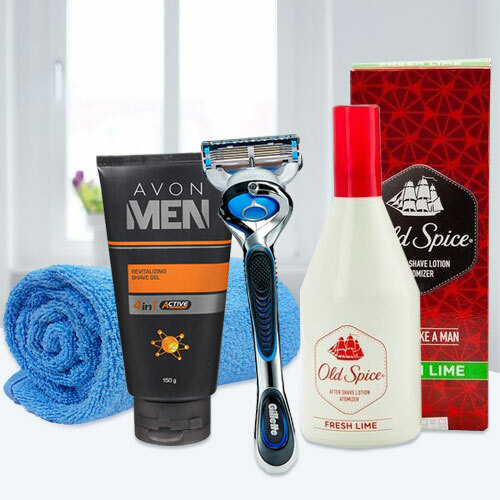 The Combo incorporates products such as Avon Shaving Gel (150 gm), an ultra-smooth Gillette Razor, a soothing After Shave Lotion by Old Spice (50 ml) and a complimentary small Face Towel.